It’s been a tough month for journalism. The Denver Post just laid off 30 newsroom employees, a decision they announced in mid-March. On April 6th, the Post published a series of editorials slamming its owners — Digital First Media and Alden Global Capital — for demanding staff cuts despite their impressive profitability and quality. Less than two weeks later, Dave Krieger, editorial-page editor for the Boulder Daily Camera, published his own repudiation of DFM and Alden Global and was subsequently fired by the Camera. The Boulder Daily Camera is, like the Post and 11 other Colorado newspapers, owned by DFM. 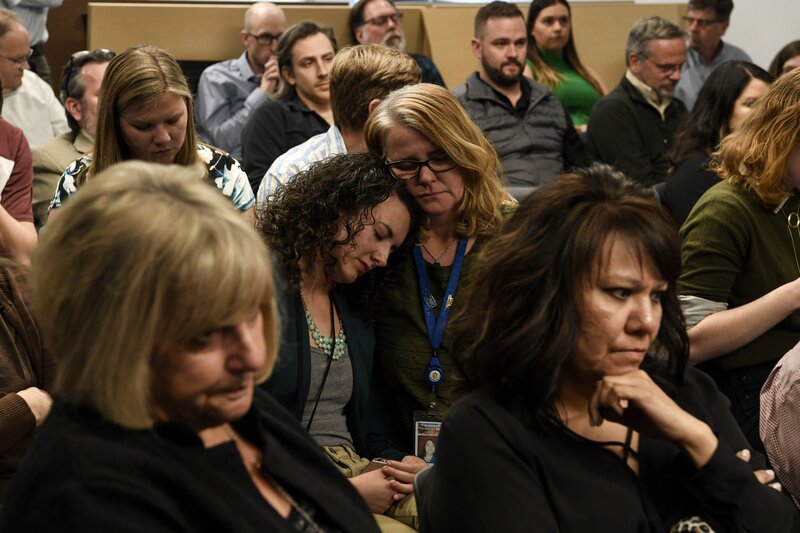 These events overshadowed Governor Hickenlooper’s proclamation that April 16th through 22nd would serve as “Colorado Journalism Week.” Though, perhaps, they showed why it matters now more than ever. Cuts to print newspapers are not uncommon. Traditional newspapers started losing to Craigslist two decades ago, then to the Internet more broadly and most recently to digital and social media. But the depth of the cuts made by DFM are uncommon because they are double the industry standard. That depth reflects their true purpose. Alden Global Capitol, the private equity owner of DFM valued at $ 2 billion, doesn’t treat newspapers, newsrooms or journalists as the valuable vanguard of the First Amendment that they are but instead as sources of cash flow for their risky investments. Years ago, Alden Global (and many other venture capitalists) figured out that there is a “lag time” between the moment journalistic quality tanks and the moment loyal readers actually cancel their subscriptions. Sometimes that “lag” is measured in years, during which time Alden Global can increase the price of papers’ subscriptions while scraping their quality, rendering record profits. That’s why Alden Global won’t sell. The Denver Post sent $28 million in profits to DFM last fiscal year, and it’s poised to continue to do so until that “lag time” when subscribers catch on runs out. Holding and draining is, unfortunately, much more lucrative than selling. And running a nonprofit benefit as though it’s a for-profit business has its advantages. The revenue pouring in from emaciated newspapers doesn’t come from angel investors or shareholders, it’s coming from Alden Global’s subsidiaries. They can dump it into risky endeavors — as they did with a shady real estate company in Mexico that went belly up and left slums across the country — because it’s their money. They’re investing on behalf of themselves. So even while, as the Post noted, “quality, reliability and accountability suffer,” subscribers will continue paying, for a time, and Alden Global can continue to run its papers into the ground. But who is responsible for maintaining a free and independent (and impartial) press? Journalism has never been about making a profit. Often times, the stories that need to be told the most are the ones that people want to hear the least. No one wants to wake up and start thinking about global warming, drug resistant bacteria or government corruption. But not knowing doesn’t make those problems go away. Surely, that’s always been the value of journalistic institutions: The resources, quality and impartiality they bring to investigative reporting and their unwavering alacrity to speak truth to power. Who else regards that commitment with such esteem? To those who argue that these institutions don’t matter, I would ask how many more Americans and Vietnamese people would have died in the Vietnam War were it not for the New York Times’ and Washington Post’s coverage of the Pentagon papers? How many more children would have been raped by the Catholic Church before the Boston Globe broke the story in 2002? Journalism can’t be replaced without incurring enormous losses to both the accountability of our government and the quality of our society. Many journalists whose jobs are on the line because of Alden Global’s business strategy have cried that journalism is “part of our democratic infrastructure.” While, in the timeless words of America’s fourth President, an “informed constituency is essential to a healthy democracy,” I would argue, with all due respect to James Madison, that a democracy’s institutions are of even greater importance. The assault on journalism — and America’s apparent apathy toward it — is part of a larger effort to undo America’s institutional hierarchies and the impartiality contained therein. Democracy means, from its Greek roots, the “power of the people.” That is, apparently, the direction in which we are headed. The power of the people to choose their government, to speak their mind and to express their opinion. One person, one vote. In a democracy, our votes are of equal worth, but does that mean our opinions and values are also of the same? Does the senator whose spent two decades on the Foreign Relations Committee have an equal opinion to the constituent who can’t find Europe on a map? Should journalists, who spend months, sometimes years, covering stories or topics have the same weight to their voice as the YouTube troll who fires off thoughtless, incendiary comments with impunity? Call me elitist, or undemocratic, or fascist — I don’t care. The role of institutions — and this is especially true of journalism — is to empower the people through educating them, not by mindlessly agreeing with them. Journalism doesn’t seek to diminish the weight of the voice of experts to America’s lowest common denominator. That’s social media’s job. Journalism strives to elevate the stories that need to be heard, to challenge the assumptions that our democracy makes axiomatic and to speak truth to power. In a democracy, that power often flows from majorities. If social media is a megaphone for the masses, then journalism is a megaphone for the minority. Give up democracy’s institutional safeguards, and minority rights go right out the door with them.